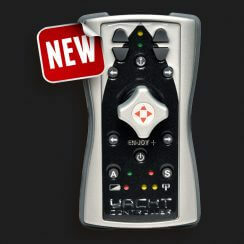 After the launch of the JCS Plus, joystick fans will now be delighted with the new YACHT CONTROLLER EN-JOY Plus: the latest release in joystick remote controls. 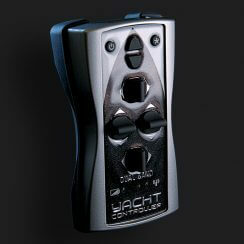 V.IPS – Wireless Joystick for Pod Drives Do you want to have the new V.IPS? Order it! 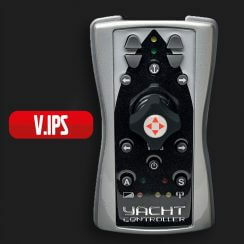 BOAT MANOUVERING SYSTEM WITH ELECTRONIC ENGINE CONTROLS Natural evolution of the Dual Band, the Dual Band plus brings some features until today available only on the En-Joy model (wireless joystick). 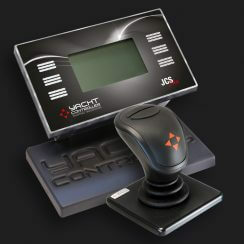 Yacht Controller JCS PLUS can be used alone or integrated with the popular and UNIQUE wireless remote control mooring systems, Yacht Controller DUAL BAND and/or Yacht Controller SMART. 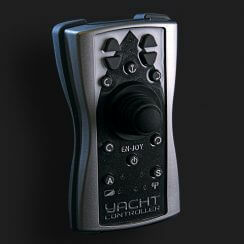 The Yacht Controller Dual Band model is the latest technological advance in the field of remote wireless controls for boat mooring. 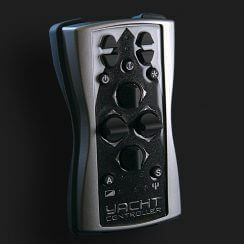 In the 2004 Yacht Controller won the NMMA Innovation Award for the "Best Technological Innovation" at the Miami Boat Show. © 2018 Copyright by YACHT CONTROLLER spa.